Awesome card. 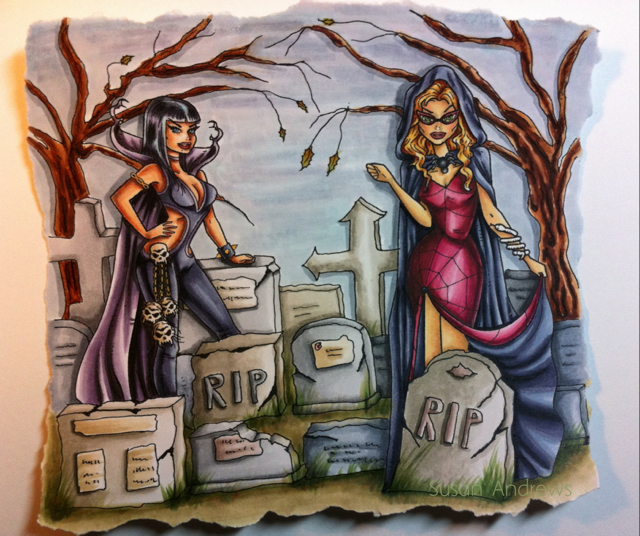 Your graveyard drawing is just the right touch and your coloring is fabulous. 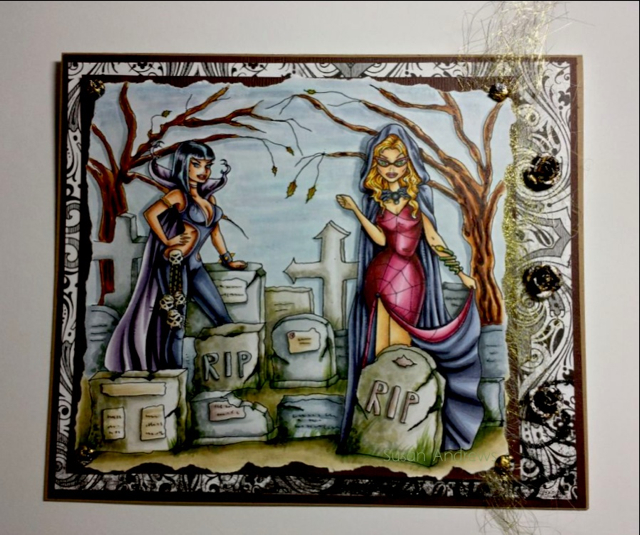 Thanks for joining us at Kenny K's Krafty Krew for our "Spooktacular" challenge. Good luck and please join us again soon. Ooo love your card, fantastic colours and love the images you have used. Your card is amazing. Thanks so much for sharing this with the Krafty Krew! Absolutely love it!